Vegetarian? You're living in the right city. 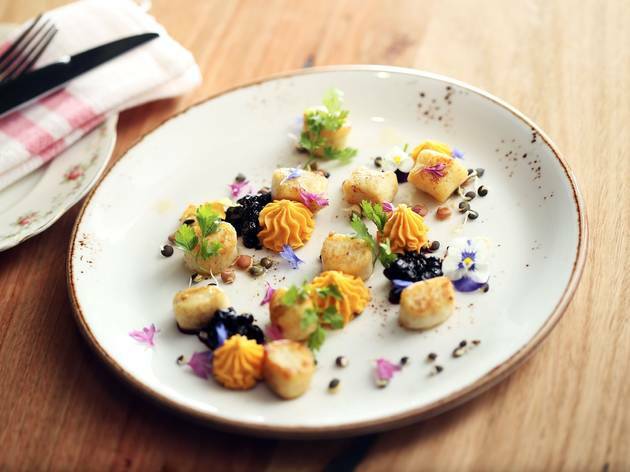 There is no better place to be a vegetarian than Melbourne. 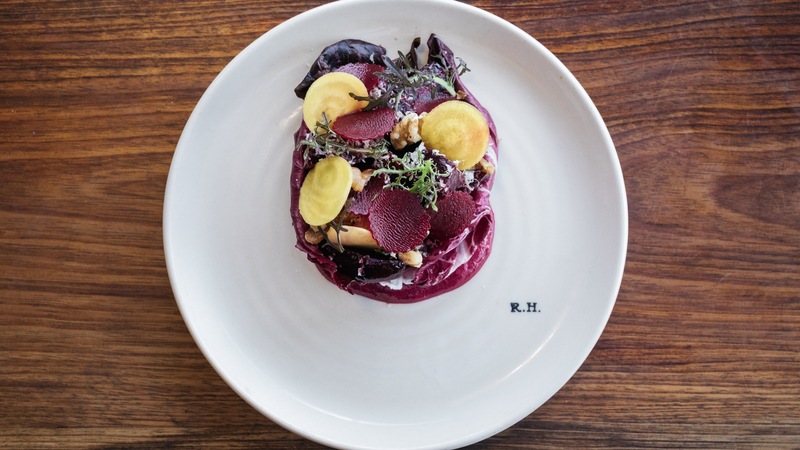 We wear the crown for plant-centric dining that is exciting, inclusive and delicious, from fancy degustations to cheap eats, every day of the week. 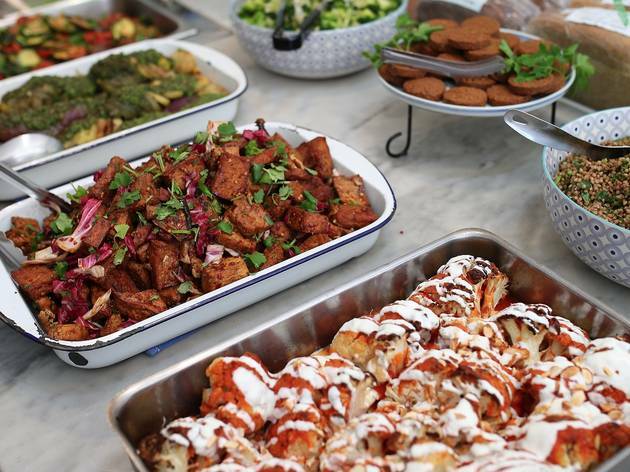 This city is home to some long-serving heroes – meat-free institutions like Moroccan Soup Bar have been winning hearts for decades. But fully vego restaurants aside, eating meat-free at some of the bigger players isn't as hard as it once was. If you know where to go, you should have no problem dining just as well as your carnivore counterparts. 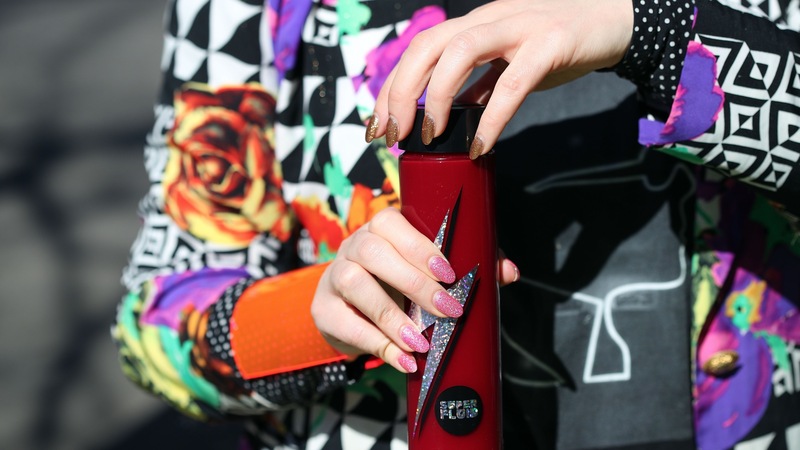 While you're on the veggie train, make it a priority to try our favourite smoothies. You know what else doesn't involve meat? Cocktails. If you’re the kind of vegan who misses your melty cheese and your juicy meatballs, this place is for you. Smith + Daughters has recently changed its concept from Latin American to Italian to show off the research and development that has turned out nut-based cheeses that melt, smell and taste like, well… cheese. Everyone is raving about the ragu on polenta and three-cheese stuffed eggplant, but for some real sorcery, order the super-bitey cacio e pepe, which is impossible to tell apart from one emulsified with real Parmesan. 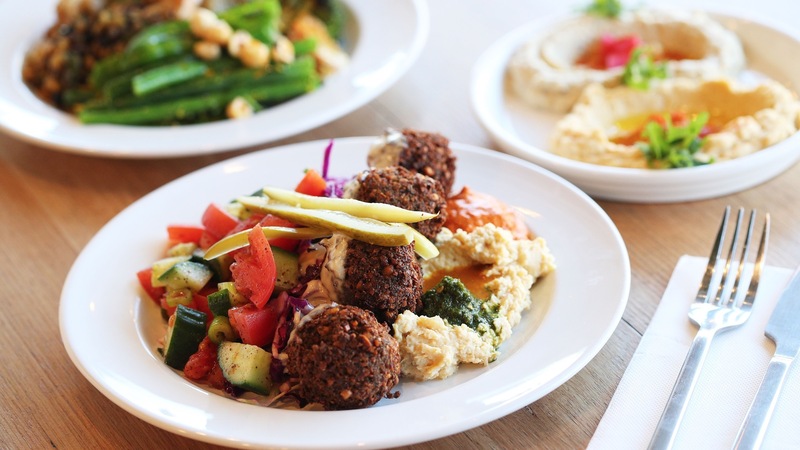 Run and owned by two self-proclaimed hipsters, this Brunswick favourite churns out home-style Middle Eastern food straight from the garden. 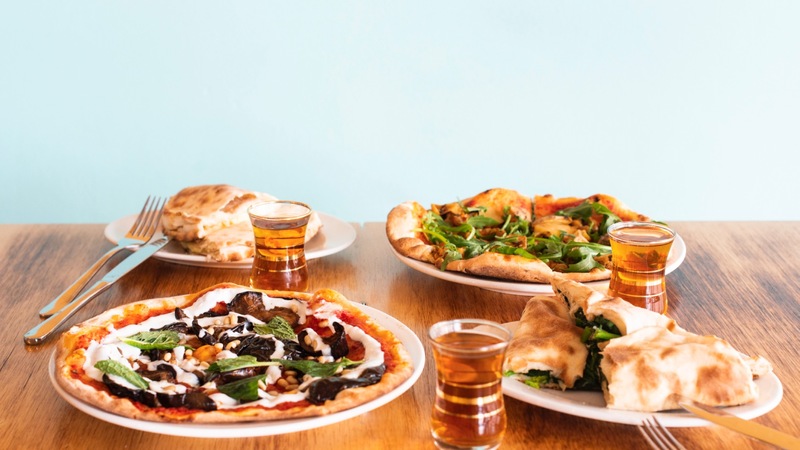 Mankoushe first opened as a bakery, milling Victorian wheat on site to turn out spinach and feta pastries, its cult-status haloumi pies and vegetarian ‘pizzas’ before it took over the space next door and encouraged sit-down banquets. 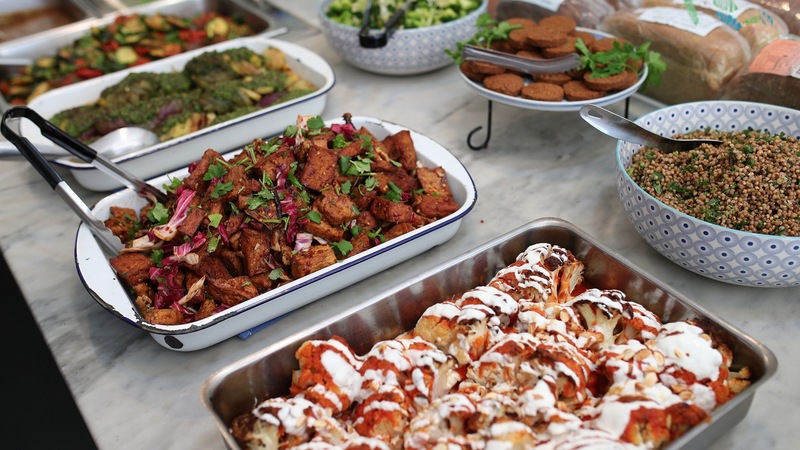 Dinner isn’t always strictly vegetarian, but all-vegan dinners can be organised on the spot. Hit an ATM before heading in; this eatery is cash only. This tiny Israeli eatery is loved for its laid-back vibes and vibrant menu. Pita pockets come jam-packed with red or green falafels, fried cauliflower or beans. Shakshuka (baked eggs) comes either in a traditional tomato base or in Tahina’s unique green (broccoli) or white (fennel with Jerusalem artichokes) sauce bases. Desserts get the vegan treatment, and it’s almost impossible not to pick up a baklava on the way out. 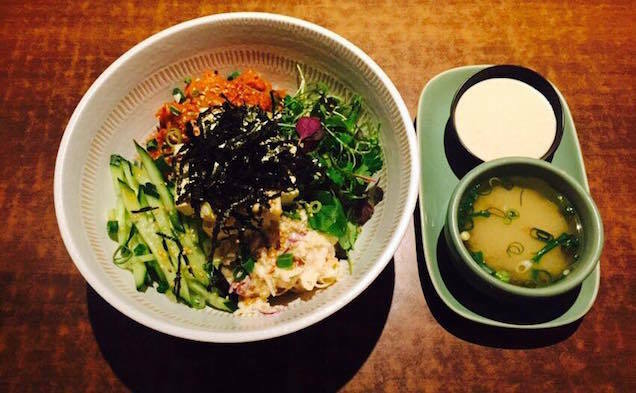 Don’t be disheartened by the small space– the whole menu is also available for take-away. 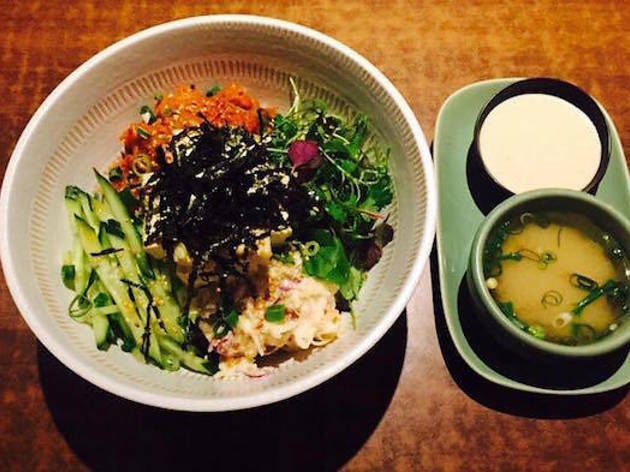 Remember when Wabi Sabi was the coolest little Japanese eatery on Smith Street? 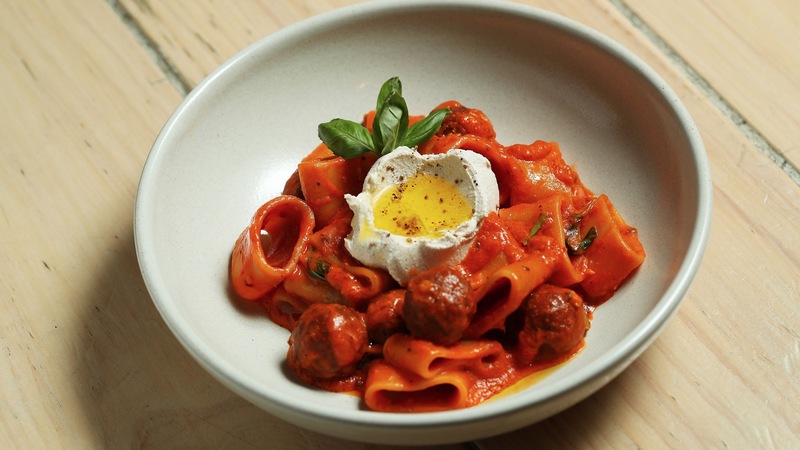 Well, the team opened their sister restaurant 100 metres around the corner, driven by a vegan, vegetarian and pescetarian ethos. 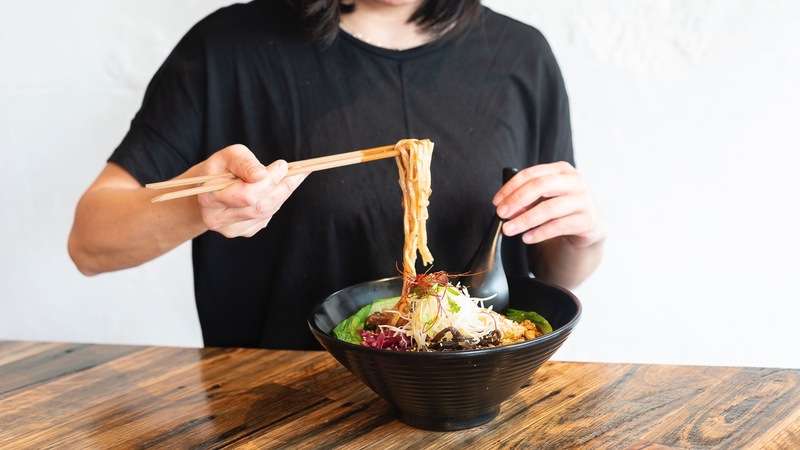 Popular dishes include the teishoku (plates of black rice with an assortment of daily pickles and vegetables surrounding a main dish) of dengaku eggplant, Japanese curry with potato croquettes, and the raw vegan okonomiyaki, but the real show-stealer is the vegan ramen. There is a shoyu (soy base) and tan tan (spicy sesame base) option, and it is impossible to believe such complex broths can be built on vegetables alone – a true suspension of disbelief. 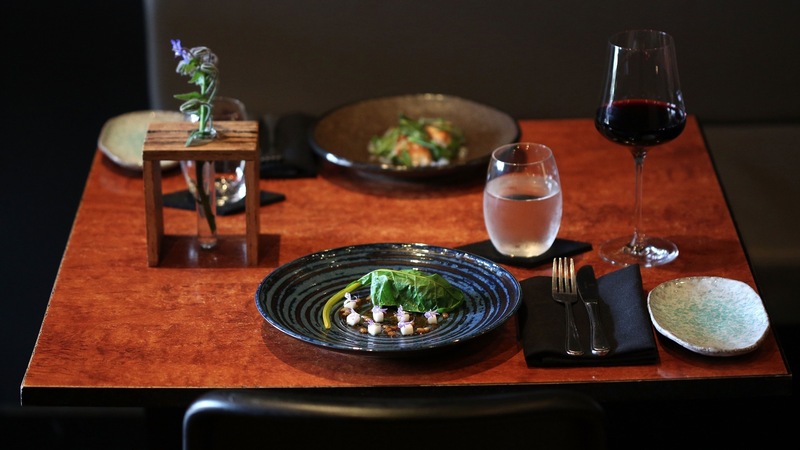 Usually when you go to a pub, the only vegetarian options are murky daal, a stodgy, grey mushroom risotto or a serve of chips, but not at this Carlton pub. 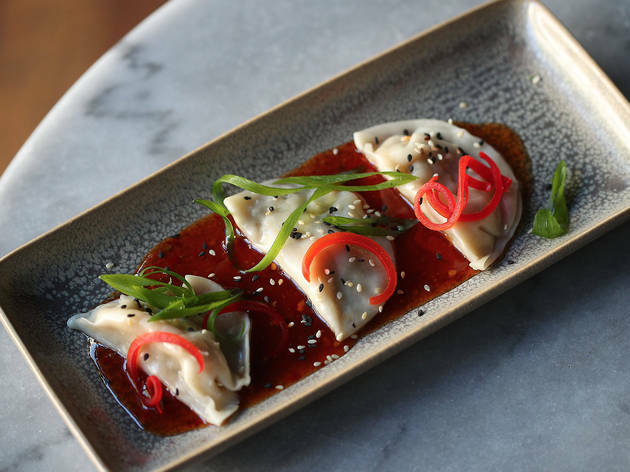 Green Man’s Arms is proudly vegetarian and encourages you to chill out over a jug of Moon Dog or a bottle of malbec while munching on a serve of stuffed bullhorn peppers or vegan potato peirogi. Chips aren’t run-of-the-mill. either, and come dressed up in fried garlic with patatas bravas sauces. Serves aren’t as huge as a regular pub, so the best way to enjoy GMA is to order up with a few mates and share. 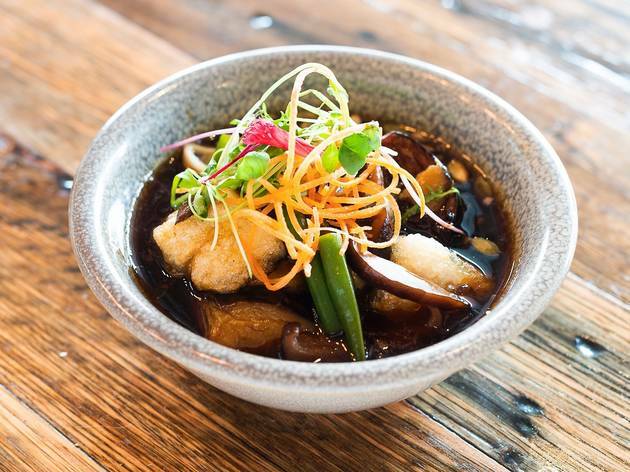 If you prefer your vegetarian food to be accompanied with formal service rather than communal dining hall, take-out vibes, head to Transformer. 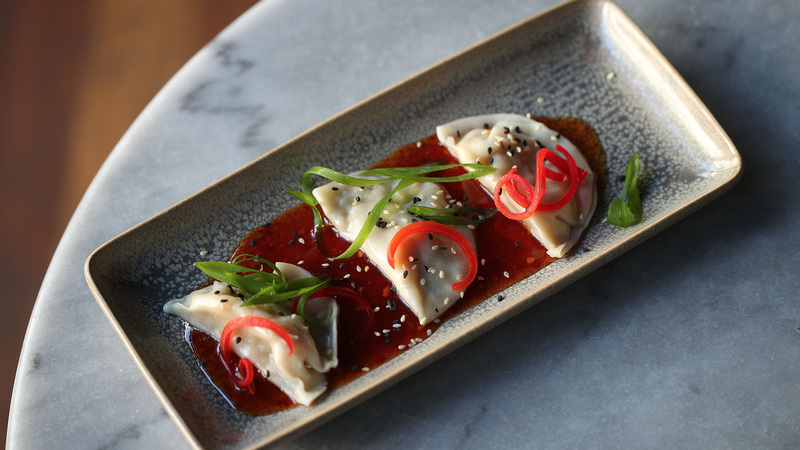 It’s by the same crew who brought you Vegie Bar, but this one is just a little more refined. 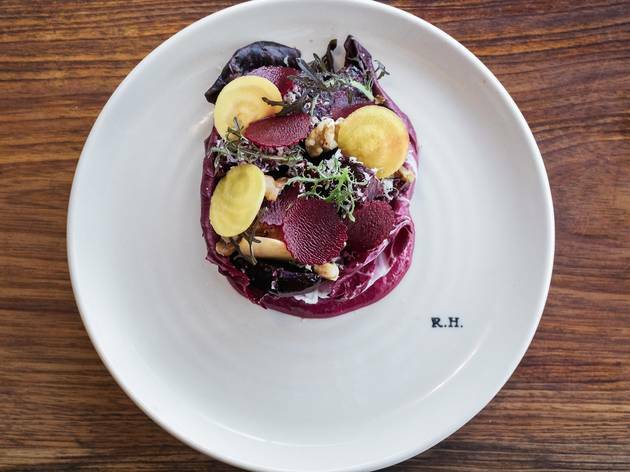 There’s no mock meat on this menu; vegetables are proudly celebrated front and centre in dishes like the grilled king oyster mushrooms atop a confit garlic and pine nut puree laced with a dried porcini salt and the collapsed braise of cumin-spiked eggplant accompanied by a smoked, lactic labne. It’s the perfect venue if you’re trying to impress. 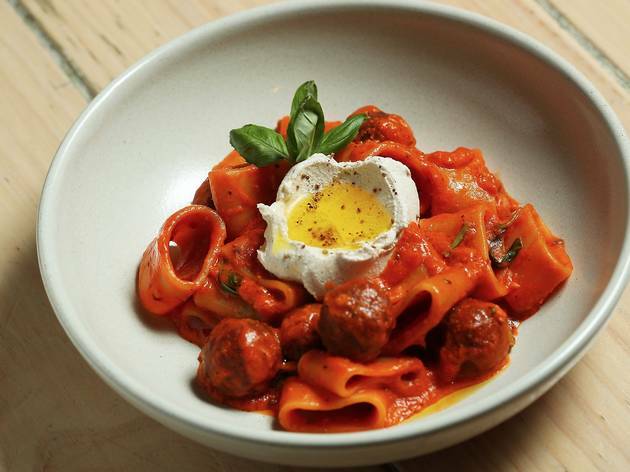 Middle Eastern food is trending through Melbourne again, and one of the newcomers with lines out the door is Just Falafs. 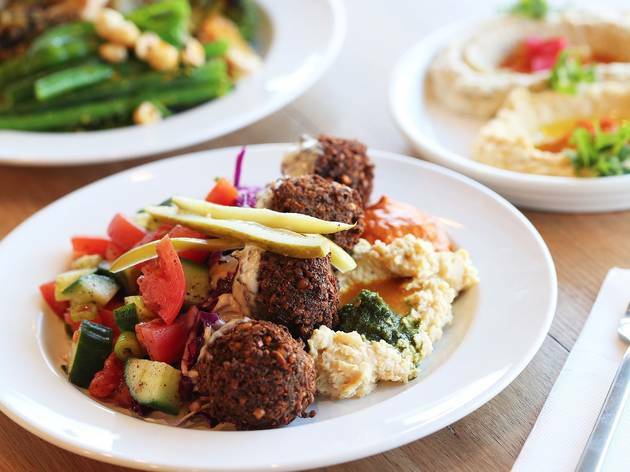 These falafels are made fresh every morning and fried to order, giving you the winning crunch-to-moistness ratio of a perfect falafel. Have these babies on their own, packed in a pita pocket stuffed with pickles, tahini and a fiery harissa, or on a plate with a few counter salads. 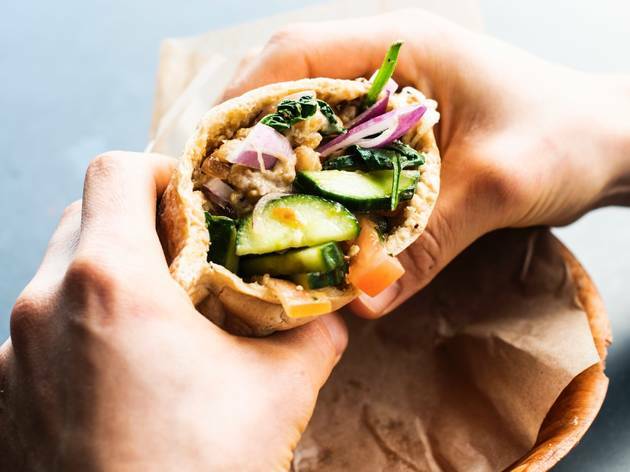 If you want to forgo the balls altogether, opt for the sabich – a sandwich packed with fried, oozy eggplant, boiled eggs, pickles, tahini and salad. It requires three napkins to eat, and it’s guaranteed to stick to your ribs. Going regional for a day trip is standard these days, but being stranded outside of the city usually means having to starve if you’re not a meat eater. Rare Hare is not be a vegetarian restaurant, but options are plentiful and are not menu afterthoughts. Graze on the freshest crudités served alongside a chunky macadamia skordalia, slice into fudgy lengths of charcoal eggplant smothered in sweet, red miso or dive into a whole roasted sweet potato lathered in a wattleseed butter, offset by accents of fried, salty capers while staring out over the expansive, picturesque Willow Creek vineyard. It will be a meal worth leaving the city for. Back when Melbourne was still wondering what to do with tofu, this Richmond hole-in-the-wall was making its from scratch and dishing up curries, stir fries, soups and stews with those foreign blocks of soy. Some 36 years later, nothing has changed. 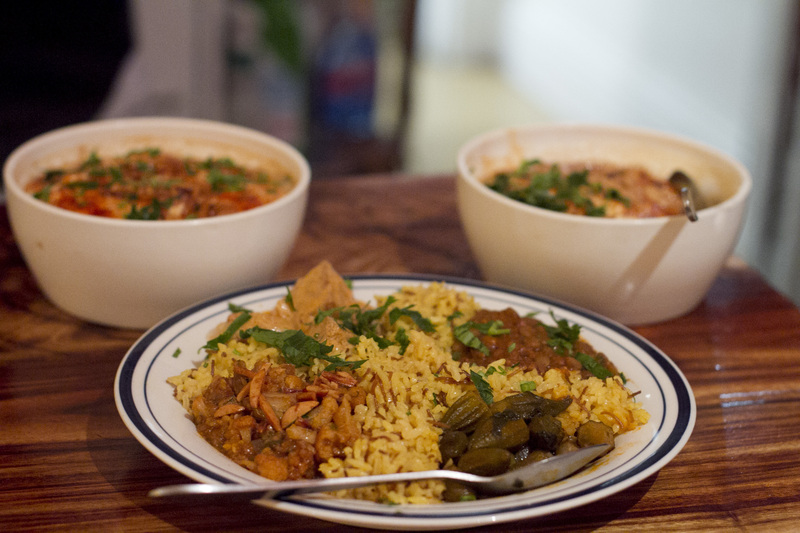 It’s still no-frills, and hot foods are scooped out of a bain marie. 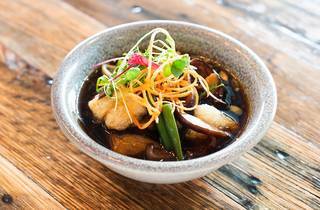 The menu changes every fortnight, but look forward to dishes like the saffron and mushroom tofu or sweet potatoes cooked in coconut with kaffir lime, krauts and pilafs. 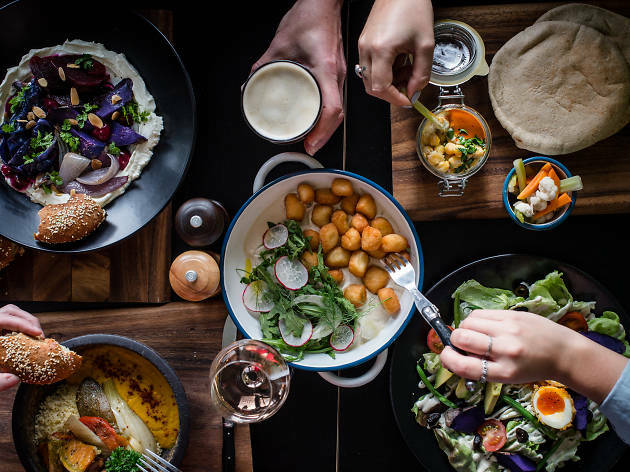 If you’re grabbing a take-away, there is no limit to how many dishes you can order – servers let you cram as many dishes in until you fill the box. Another bonus is all possible allergens, from dairy to fructose, are pointed out on every menu item, so you won’t have to deliver your allergy spiel or risk reaching for the EpiPen. This restaurant was a little ahead of its time, and upon opening, scrutinised heavily for specialising in vegetarian, vegan and raw food with a holistic, mind-body approach. The menu has a predominantly Asian flare to it, with raw nori rolls, a Korean pancake platter and a kelp pad thai, but it is the surprisingly flavoursome ‘rawsagne’ – ribbons of zucchini layered with mushroom, avocado, cashew cream and sundried tomato sauce – that put Yong Green Food on the map. If you haven’t tried a mushroom latte yet, this is the place to give it a go. Trust us, it’s not as weird as it sounds. If you’re looking for the menu, don’t even try. Moroccan Soup Bar has never had a printed menu in its 20-year history, because the day’s dishes are told to you when you take a seat. They can include deeply savoury tagines, soups, stews and pastries, but you can be guaranteed the chickpea bake will be available every day. 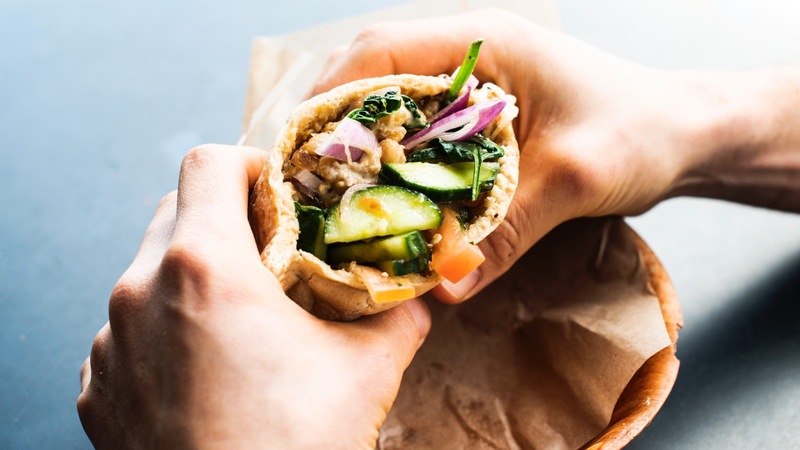 Food is delivered to tables as banquets and is centred around the chickpea bake – a rich and textural combination of chickpeas, tahini, almond flakes and yesterday’s pita fried up and bound together by a flood of ghee. 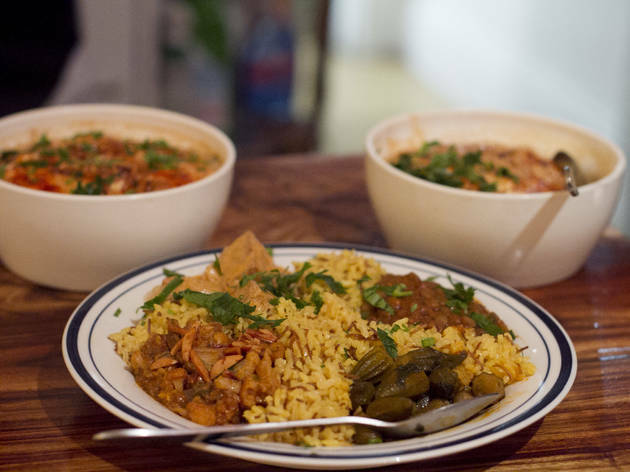 Bring your own containers from home for the leftovers. You’re encouraged to take home what you can’t finish, but plastic is proudly not provided. Vegie Bar isn’t the newest kid on the block, but she still manages to lure in southsiders across the river. Dishes that have been on the menu forever, like the mee goreng, tagine and burrito, would cause a riot if they every disappeared. 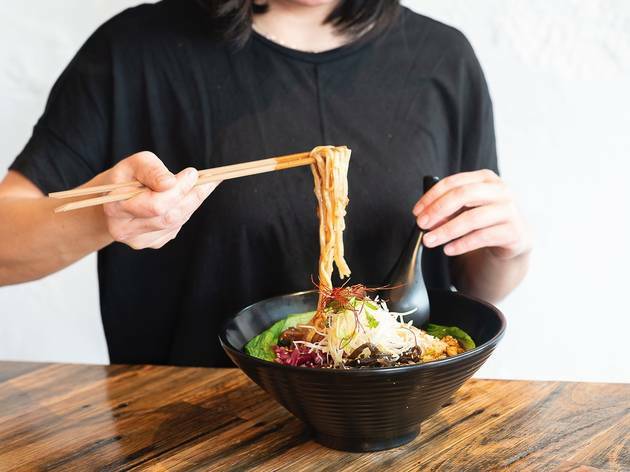 But as vegetarianism has become more mainstream than counterculture, new dishes like tacos made with fried jackfruit in place of meat, on-trend poke bowls and a burger inspired by the golden arches has kept the spotlight on this 30-odd-year-old restaurant and guarantee a full house every night. Bookings are recommended if you don’t like waiting. 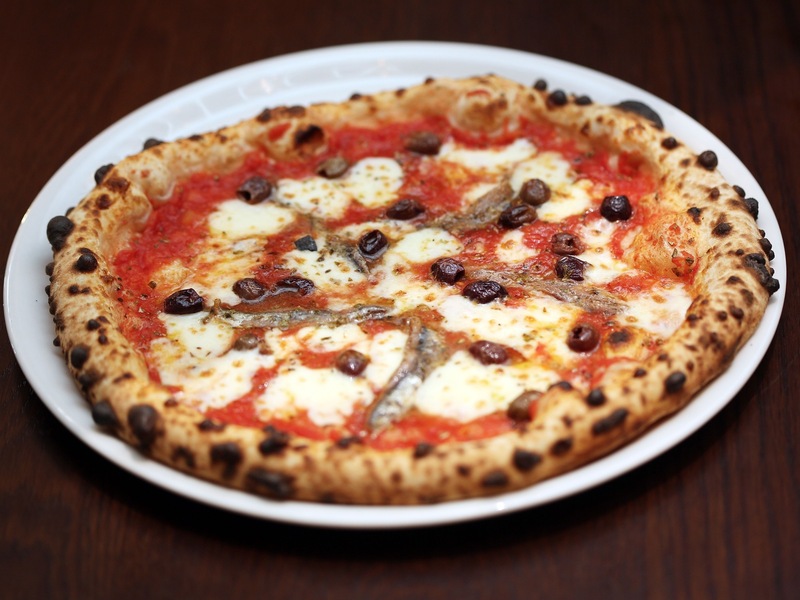 All pizza is good pizza, even if it’s bad – that’s the manta vegetarians usually have when it comes to ordering anything that isn’t a straight-up margherita. 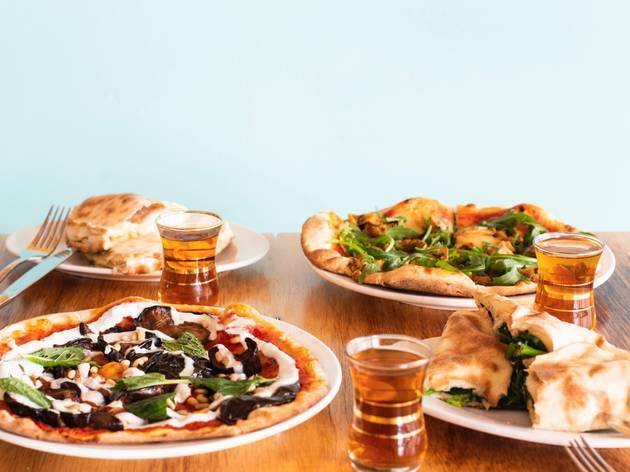 Lucky for those with dietary restrictions, Red Sparrow is an all-vegan pizzeria that does away with the crap-vegan pizza stigma by making its own mock meats (try the pepperoni) and cheeses (witch-crafted with coconut oil and tapioca) that could fool your everyday omnivore. 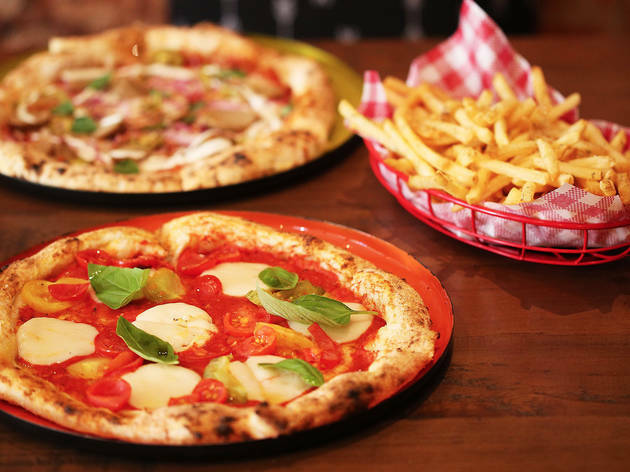 While the pizzas on offer are in no way traditional, we’d doubt anyone would wave away a slice of the HSPizza (yes, it is exactly what you’re thinking) or the carb-on-carb glory that is the spicy potato pie laced with aioli. You won’t be found picking off the suspect piece of meat on your supposedly vegetarian pizza ever again. 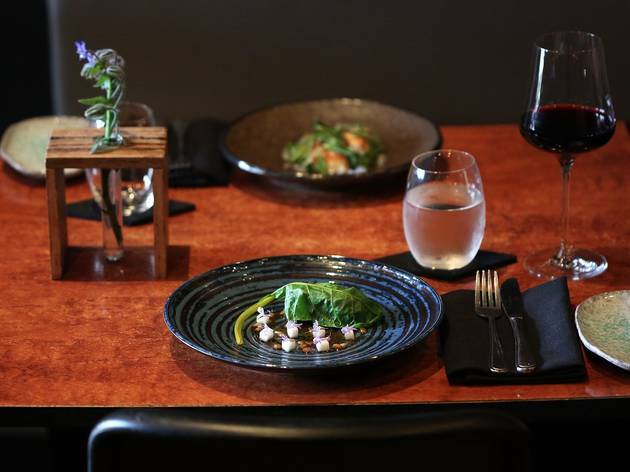 If you’re after a special-occasion, degustation vegetarian meal, head to Beaconsfield’s O.My. The vegetables all come directly from the venue’s own farm a short drive away, meaning the menu is hyper-seasonal and each ingredient is given careful attention from seed to kitchen. Keep an eye out for the zero-waste pumpkin plate, where the flesh, core, seeds, skins and off-cuts are brought together in a thought-provoking, how’d-they-do-that dish. Just call ahead and let the staff know you’d like your dinner to be plant-based. 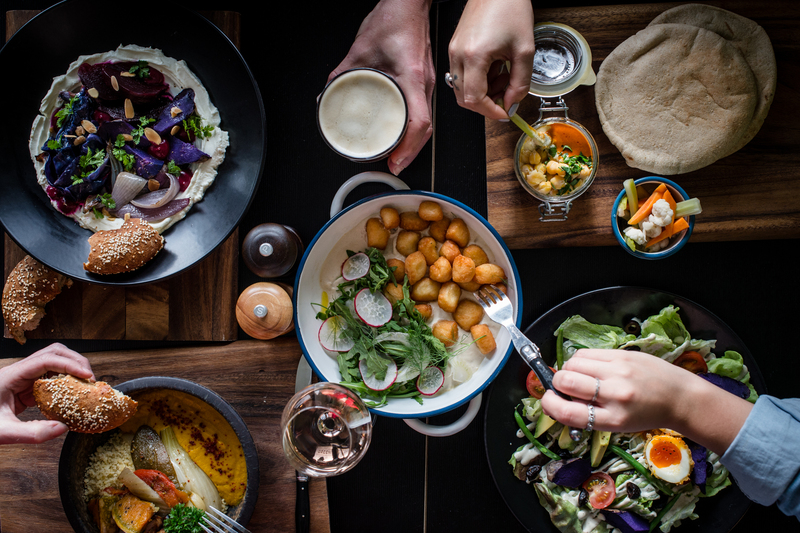 Live a little and opt for the beverage matches as well – the booze is as compelling as the food in this outer-suburb restaurant. Sometimes you just want your fruit and vegetables to make you feel virtuous, and Superfluid does just that. 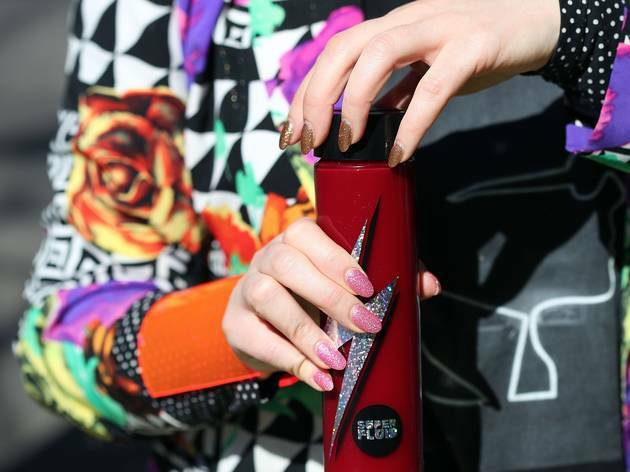 This hole-in-the-wall is no longer just a cleanse-temple juice bar offering you vitamins and hydration after you’ve gone too hard the night before; it’s now a full-blown café. All dishes are vegan and free of refined sugars, which is great when you’re on the go and don’t want to reach for a shameful servo sanga. The quinoa bircher is a great protein-filled departure from the everyday oat-based breakfast spiced up with citrus and turmeric, and the daily salads are designed to fill you up without leaving you deprived. Try the Green Goddess, which contains three varieties of sugar-sweet peas accompanied by pistachio, hemp and lentils doused in a lemon vinaigrette. How about a slice of pizza? Light crusts, rich tomato bases, fresh toppings: that's amore, pizza-lovers. 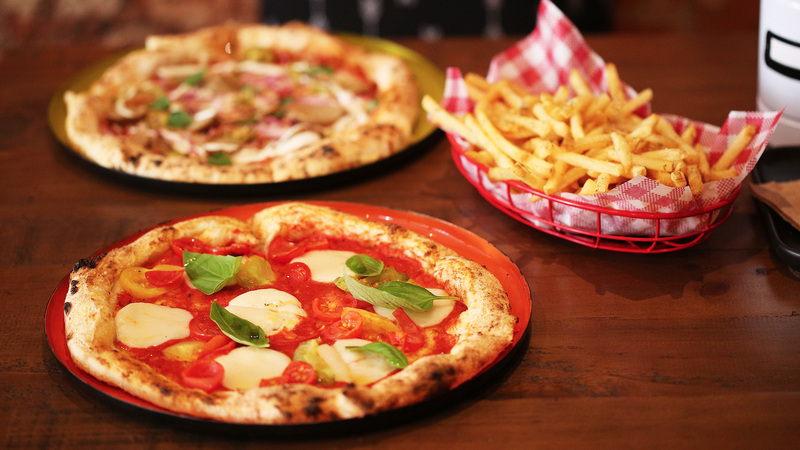 We've eaten our way around Melbourne to find the best slices.